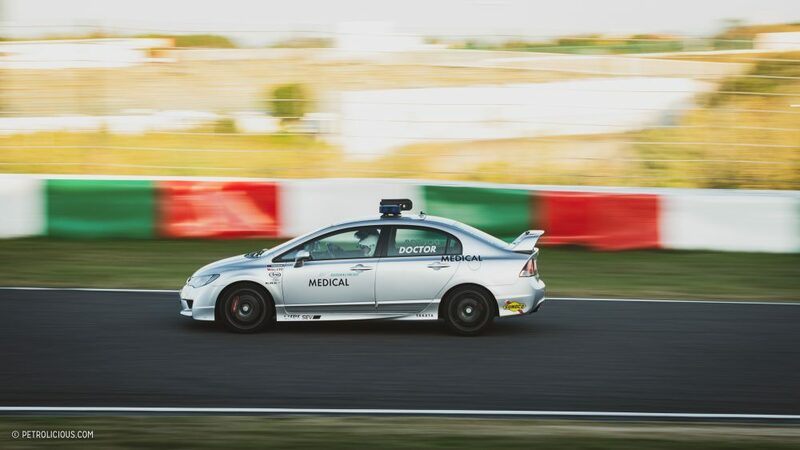 Since moving to Japan a few years ago, the most exciting automotive event I’ve attended is undoubtedly Suzuka Sound of Engine. 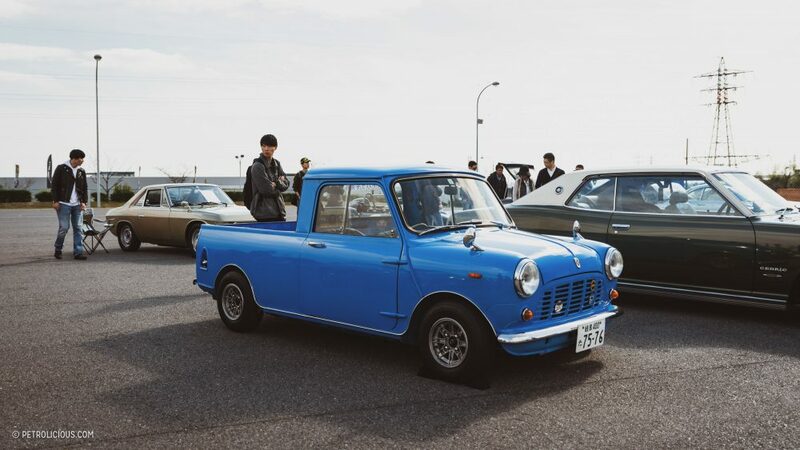 It’s not the most stereotypical “Japanese” gathering of cars and car fans that I’ve been to—in that it’s not full of bright and highly-modified machines driven by a cast of characters ranging from the bosozoku to Elvis lookalikes—though there are still some modified cars of the whackier variety in the parking lot. 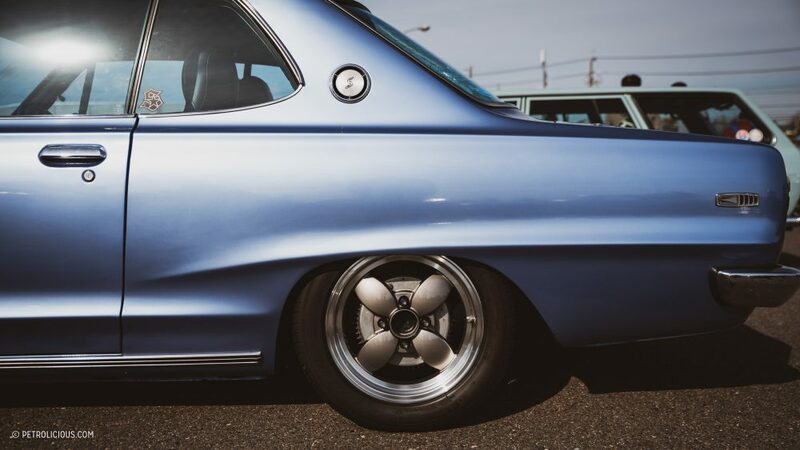 It’s not even particularly close to Tokyo’s hub of car culture. 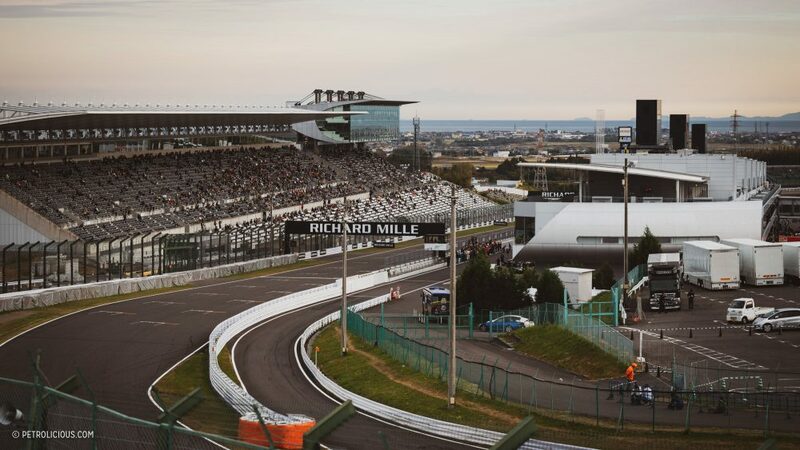 Suzuka Circuit is a good five-hour drive from the capital city, but it’s more than worth this hike. 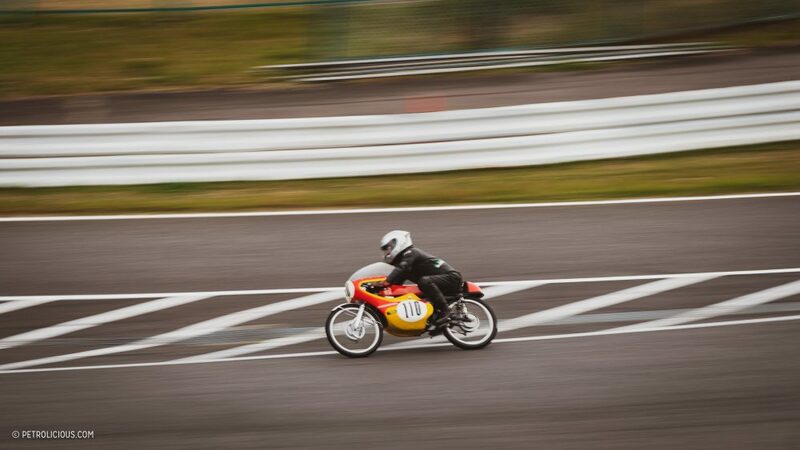 I love Sound of Engine because of the variety that you see during the two-day festival. It’s something I look forward to every year, whether I’m reading about it online or attending in person. 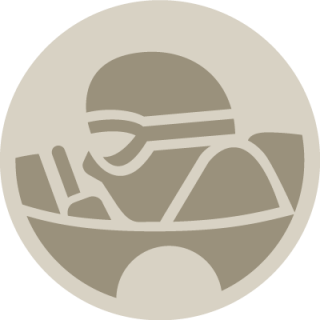 The inaugural running was held back in 2015, and in just a few years it has ballooned into something that draws an international audience. 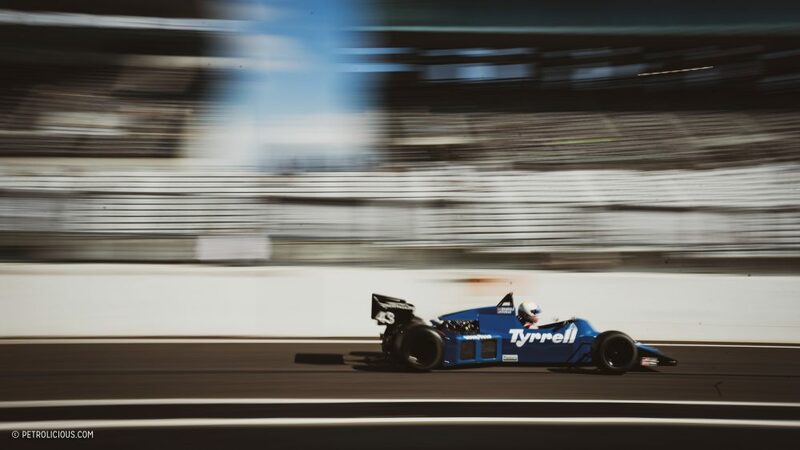 At this rate, don’t be surprised if the Sound of Engine becomes a world-renowned historic event in the next few years, such is the quality and quantity here. 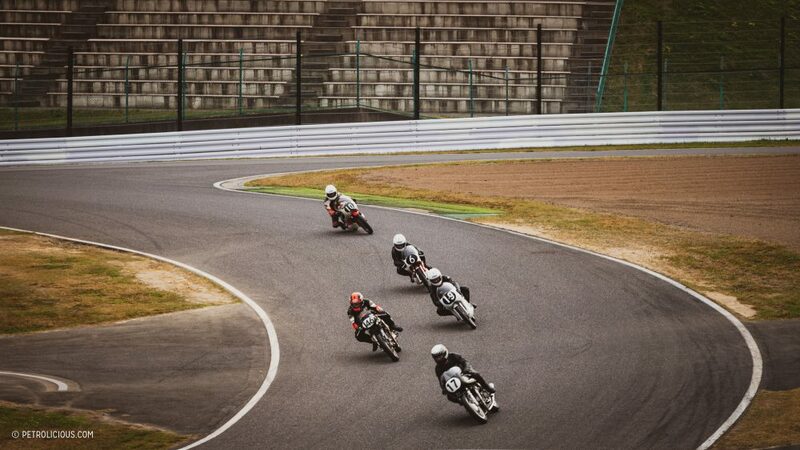 Think of it as Japan’s answer to the Le Mans Classic or the Goodwood Festival of Speed. 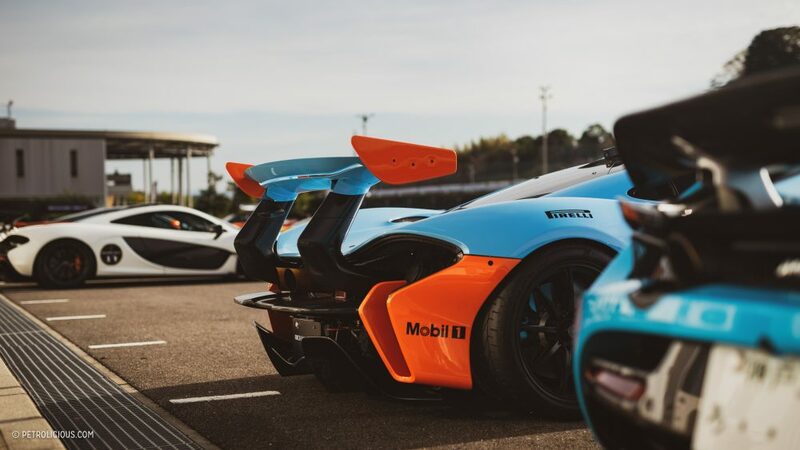 It’s a celebration of all things motorsport, but it includes plenty of streetable stuff to enjoy too. 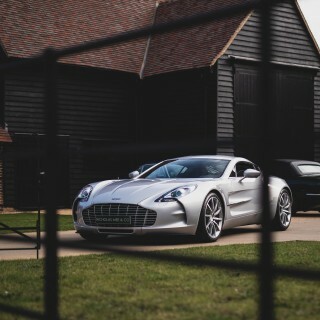 From the latest high-end supercars to iconic Japanese classics and historic Formula 1 cars, the Sound of Engine is a sleeve full of tricks. 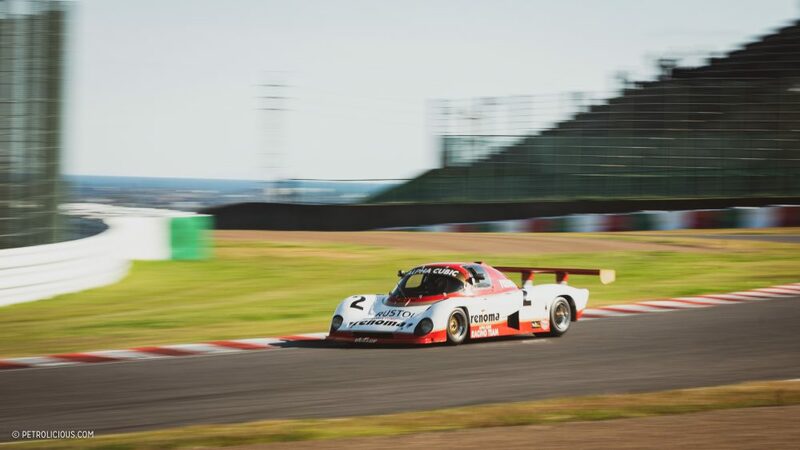 The main stars of the show have to be the array of Group C cars that have been present every year since the start, but they are fighting a tougher popularity contest with each new edition. 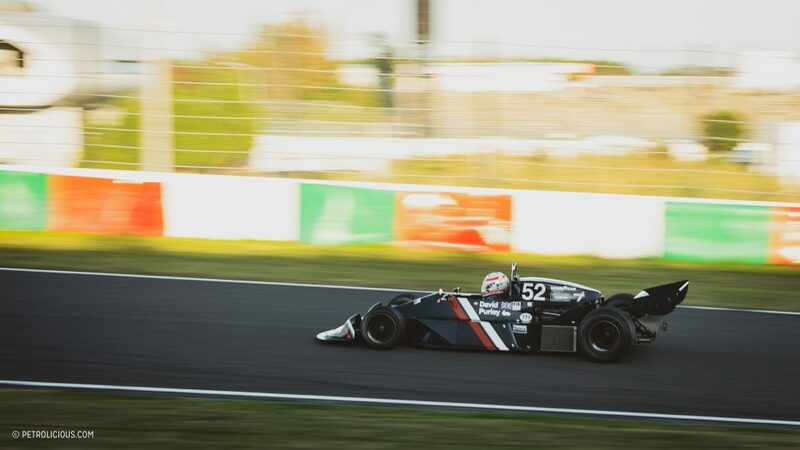 Sound of Engine is an event that tries, and succeeds, at not being a static motor show—everything you see in the paddocks and in the pits will at one point or another be out driving. 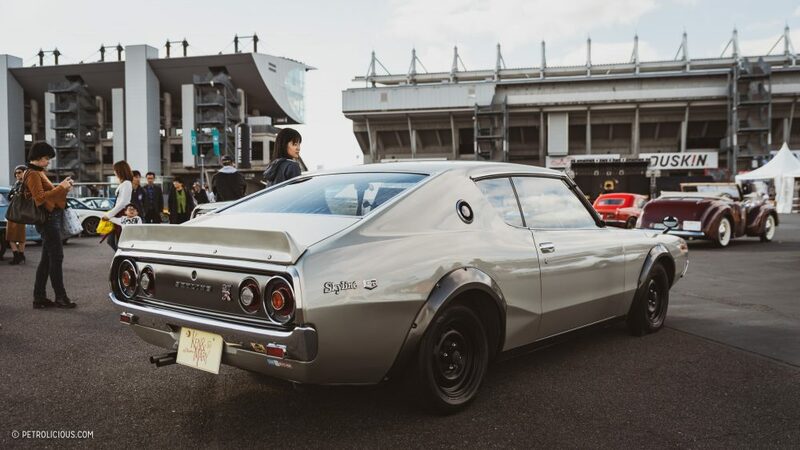 Being as it is in Japan, you can always count on Nissan to bring out some cars from their incredible Nissan Zama Heritage Collection site. 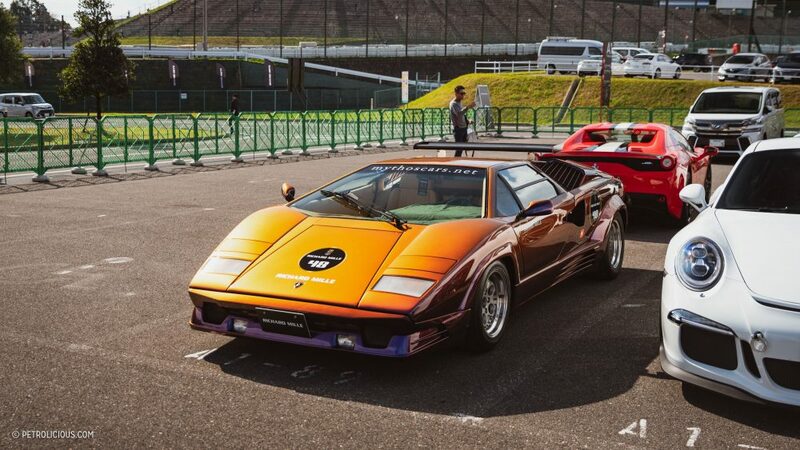 Last year, the marque was officially represented by the R90CK, R91CP, and Silvia Turbo C Nichi-Ra March 83G. 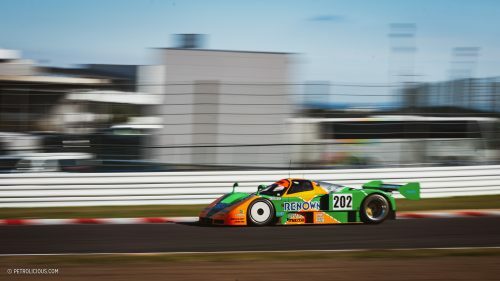 Toyota also had a space staked out, and brought along their TOM’S 85C-L. To complete the Japanese prototype racing lineup, the legendary Mazda 787B was also present in its famous Renown livery. 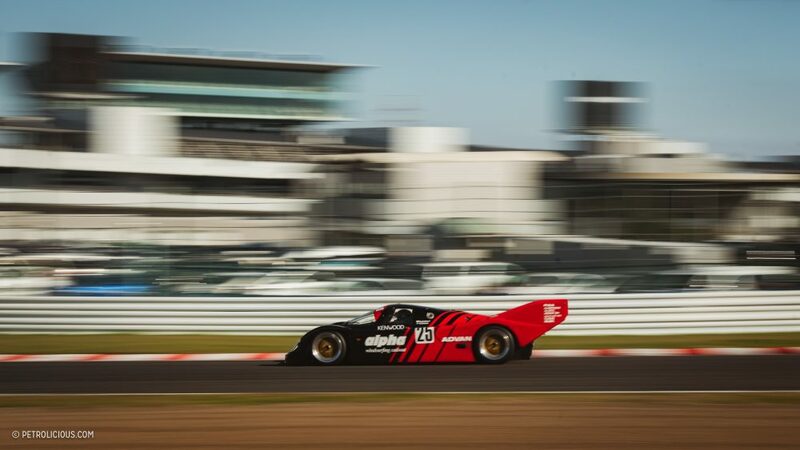 There was even a Porsche 962C sporting the Taisan livery. 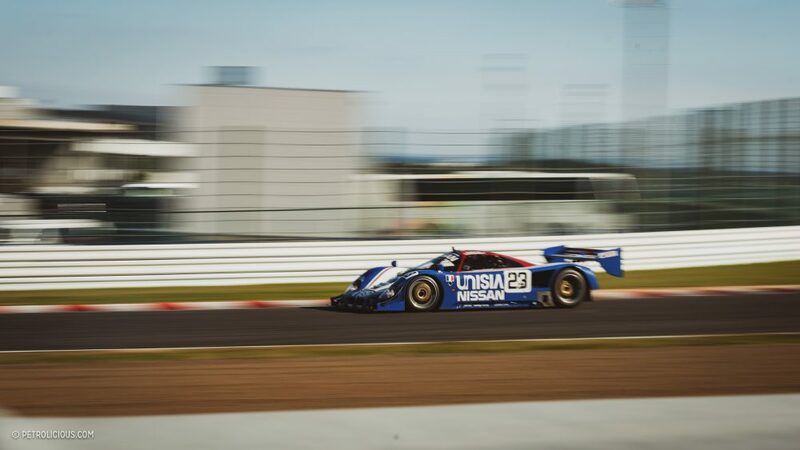 Each year there’s a special guest car; in 2016 it was a Silk Cut Jaguar XJR-9, in 2017 it was the Toyota TS010 and SARD MC8R. 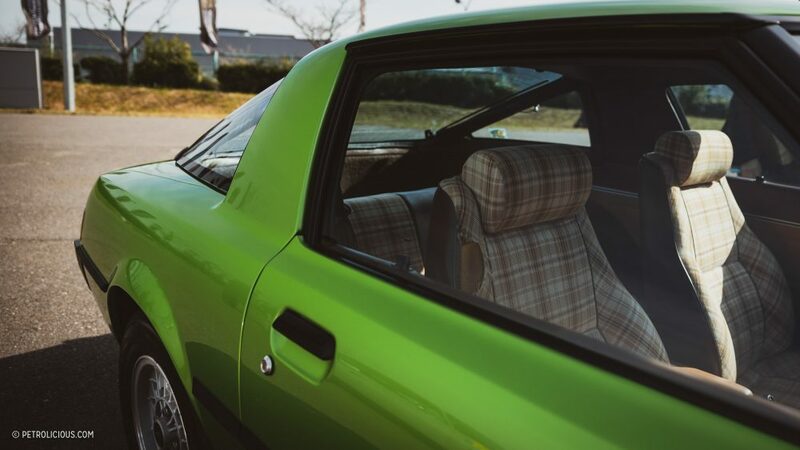 But for this past edition in 2018, the guest was a bit more famous. 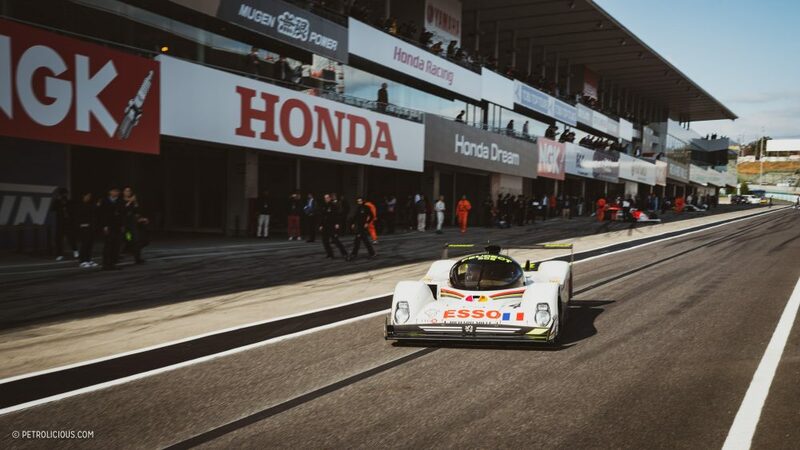 The Peugeot 905B in its Evo 1993 spec (the last year that the car would win at Le Mans) was a wonderful treat, and a harbinger of sorts for the international future of Sound of Engine. 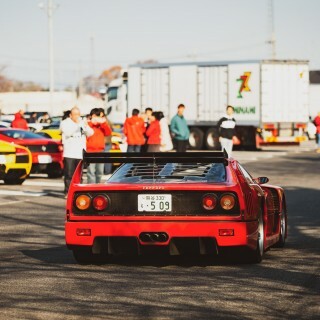 True to the name of the event, seeing these cars together in this day and age is one thing, but hearing and seeing them in action on a famous circuit like Suzuka was exception memory material. 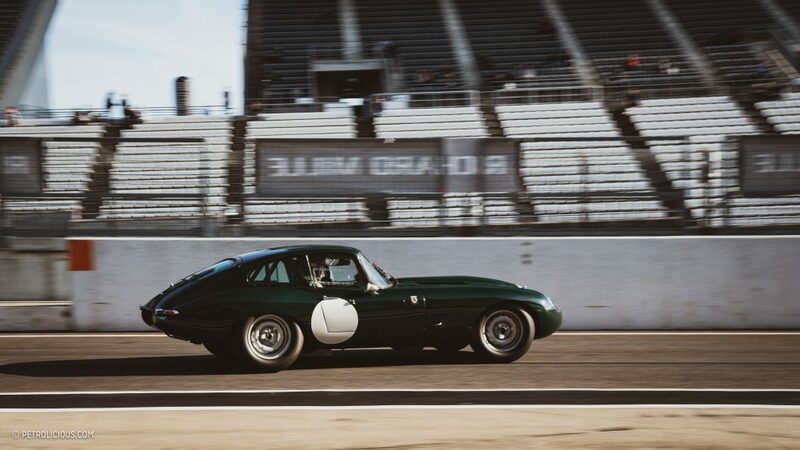 During the two-day event, there are multiple practice sessions that are worth watching, but on Sunday the multi-car demonstration runs are the most crowded, and for good reason. 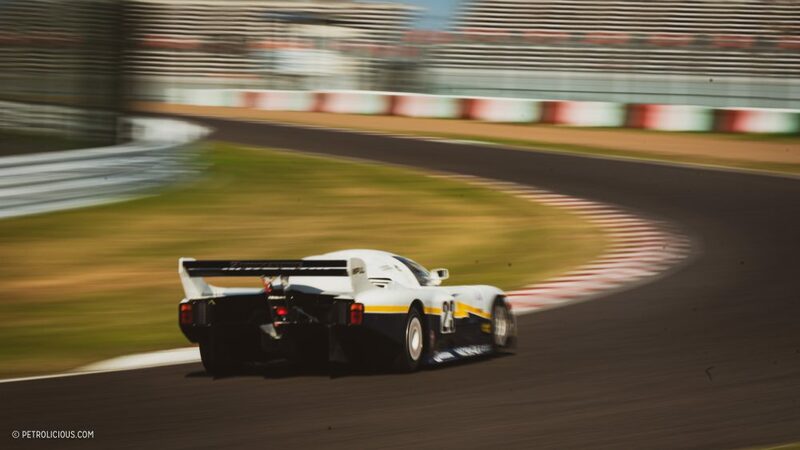 Hearing the Peugeot’s V10 battle it out with the four-rotor engine in the Mazda, the V8s from the Nissan, the BMW V12 of the Guppy, and the flat-six in the Porsche—it’s hard to imagine a better trackside soundtrack. 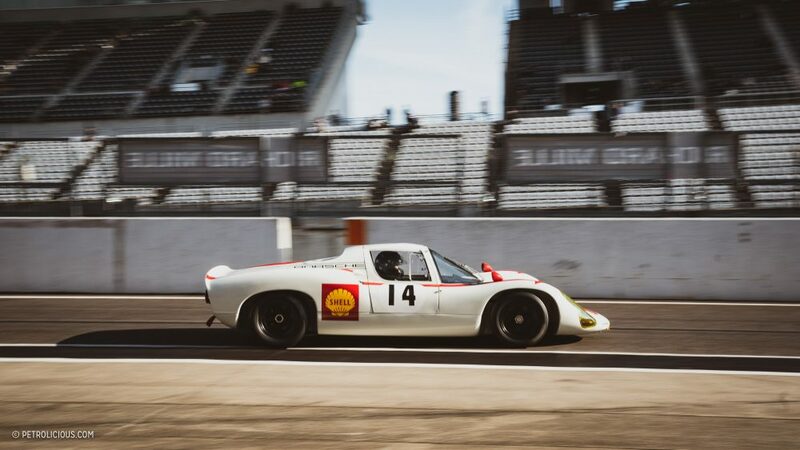 Whenever the Group C cars are out, there’s a stillness that leads the cars throughout the circuit as the crowds wait in anticipation for the explosive downshifts and howls of acceleration that follow. 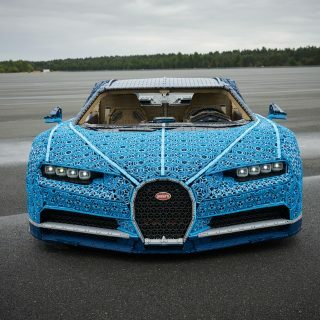 It’s a fantastic spectacle and one that seems almost religious. Does it seem hyperbolic to say that about a historic demo lap? 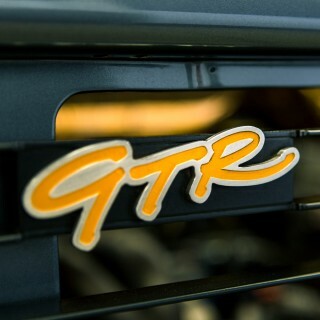 Perhaps, but tell that to the young faces that are experiencing these cars for the first time. 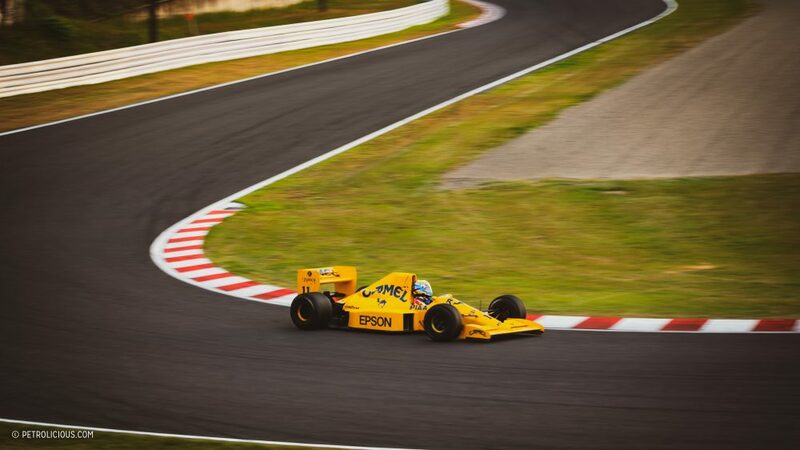 Seeing as it’s sponsored by Richard Mille, Formula 1 cars also play a big role in the Sound of Engine. 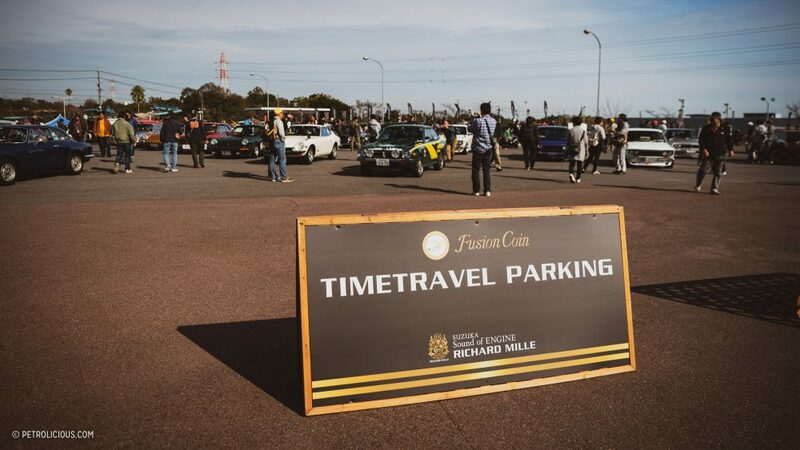 Unfortunately as these things go, there was already a problem before the festivities began. 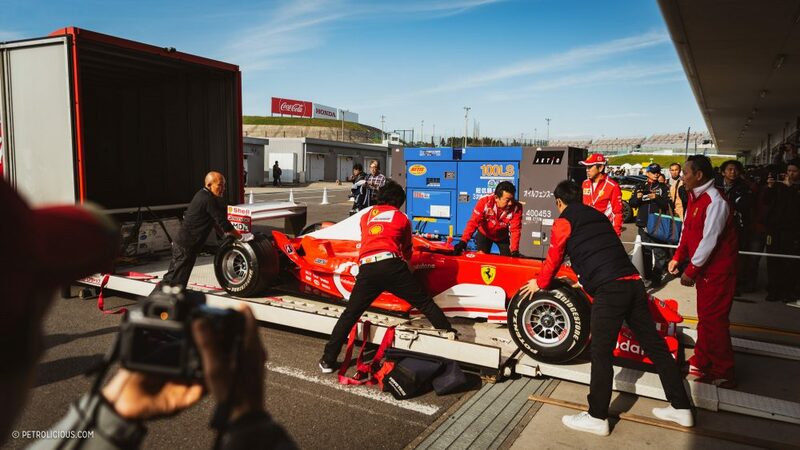 The Ferrari F2005 had to be retired early and was sent back in a trailer on the first day before it even had a chance to go out on track. 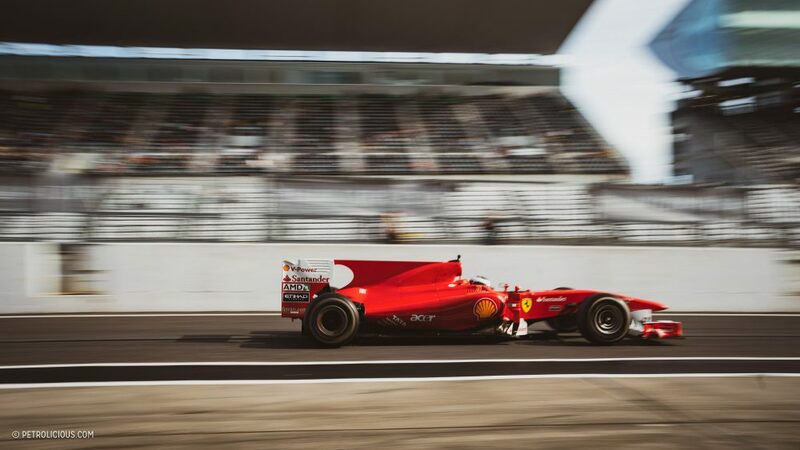 Perhaps we’ll always be limited to the earlier examples of Grand Prix cars in historic outings, ones that don’t need NASA levels of computing power to operate, but then again, not all of the Ferrari’s 21st-century F1 machines were confined to the pits over the weekend. 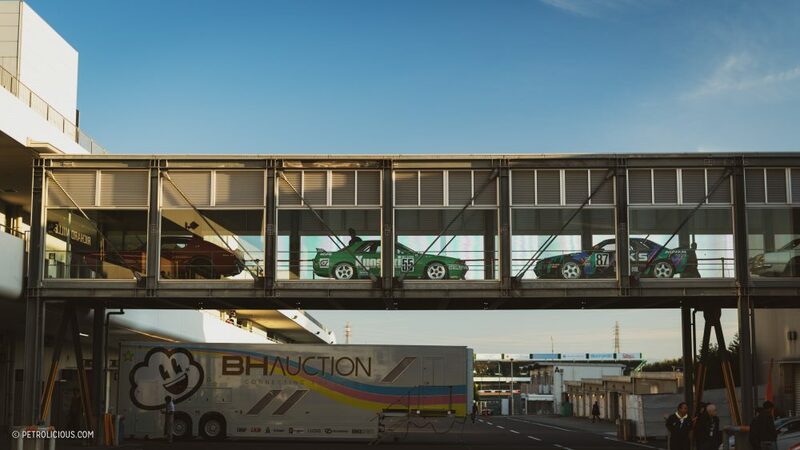 Also at last year’s Sound of Engine was the Team Taisan auction by BH Auction. 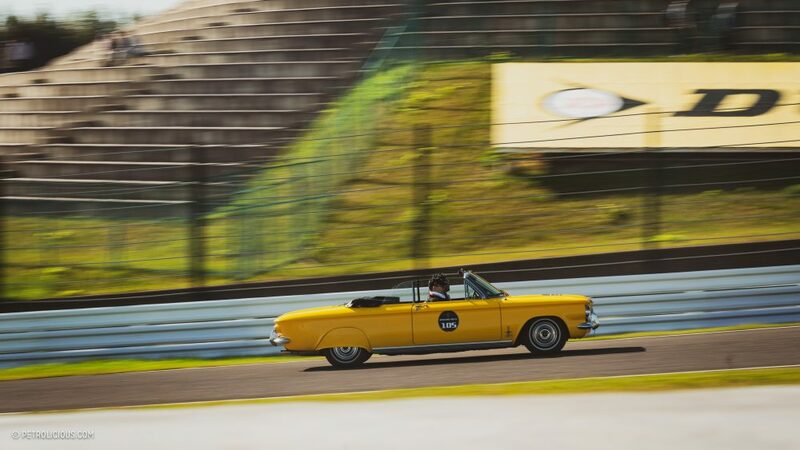 After all, what’s a big motoring festival without a place to spend some Yen? 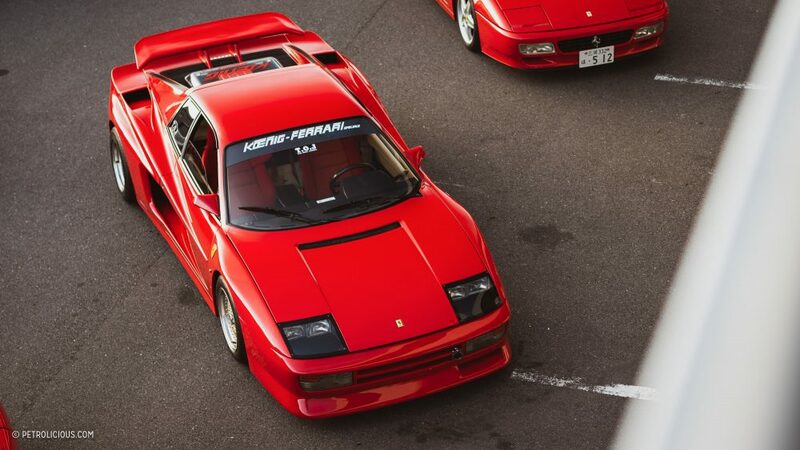 Up for grabs was a 1988 F40 JGTC which sold for 121 million yen on the night of, a 1991 Nissan Skyline GT-R in JTC spec, and a Le Mans class-winning Porsche GT3. 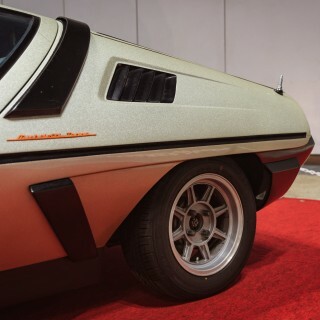 The 2019 edition will be one to pay attention to, not because you’ll find the dozen-million-dollar cars here, but ones that are truly exciting to motorsport fans. 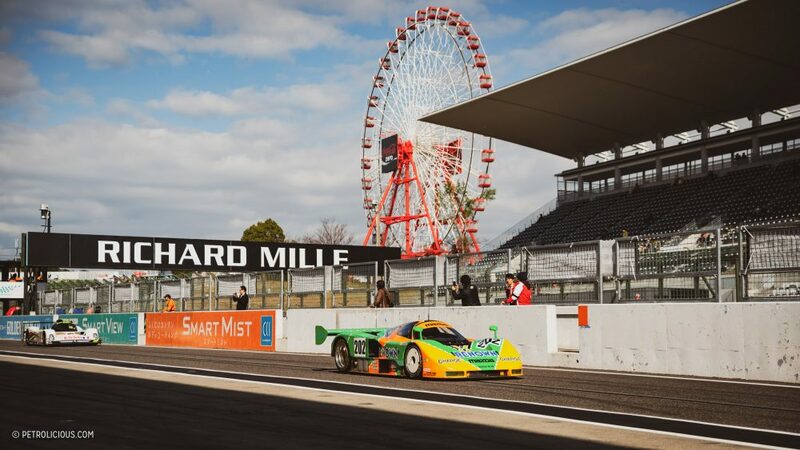 Growing up with the Gran Turismo video game series, Suzuka and Fuji both hold special places in my heart. 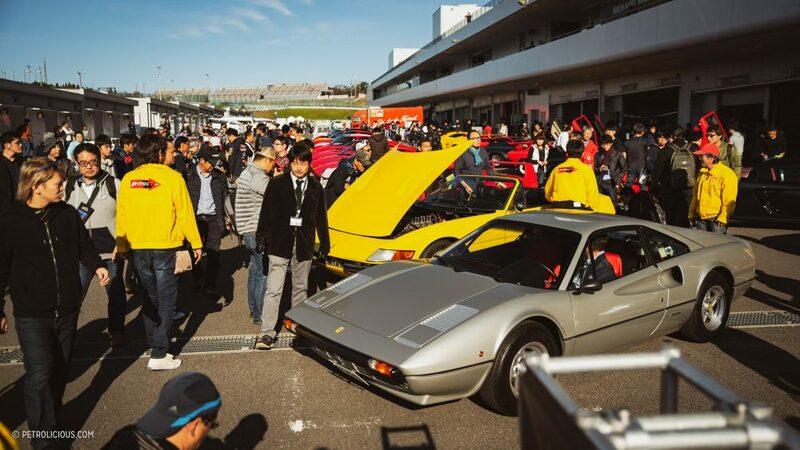 Being able to walk around the Suzuka Circuit was reason enough for me to attend the Sound of Engine last year, and certainly part of the draw to return for the 2019 edition on November 16th and 17th. If you’ll be joining me later this fall, I’d suggesting going for the whole two-day weekend to get the richest experience. 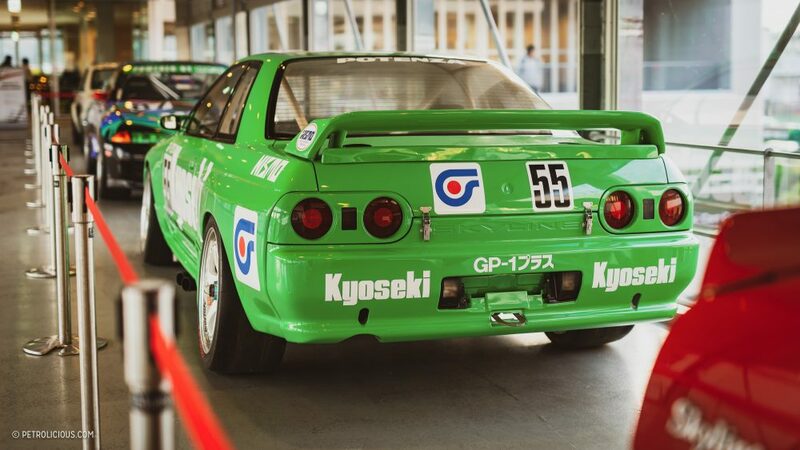 It’s genuinely one of the best events to go to in Japan if you like classic motorsport. 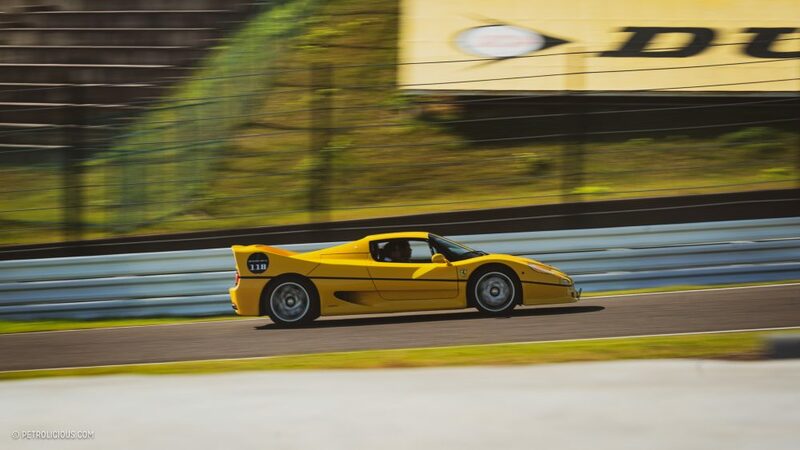 You can find some exceptional static meets scattered around the calendar in Japan, but it’s a very unique experience indeed to witness classic sports cars, grand prix machines, and prototypes going full bore down the main straightaway of one of the country’s most storied race tracks.